I love #MasterchefAU, it’s one of the only TV programs that actually adds some value to my life – I enjoy the nail biting and drama during the cooking, the gasps and sympathy for the contestants who are messing up. The contestants are wholesome and nice to each other (no backbiting drama here) while the judges are fair and provide good, on-the-spot feedback. Plus I’m always eager to see what eye-pleasing suit Matt Preston is wearing. While watching an episode on the Invention test, I concluded the Masterchef formula for creating a winning dish is similar to creating content for a business or a client. So if you’re a small business owner wanting to create his own content or a copywriter looking to improve their copywriting skills, I recommend watching an episode of Masterchef. There’s some anxiety and nerves experienced by the contestants because they’re dealing with a new challenge. Ingredients are chosen by the contestants or by the judges. Often they have to ‘hero’ a particular ingredient. The judges provide a brief which the contestants follow. The winning dish meets the judges’ brief, has no flaws and pleases the eye. The cook who often wins, is in control throughout the process, has planned what they’re going to cook, knows their ingredients and the processes. The winning dish often has the cook’s personality added to it and presents well. The dish of the day is memorable and what the judges say they’d like to order again. See where I’m going with this post? If you’re a small business owner who wants to create engaging blog posts or popular social media posts, follow the winning formula below to create extraordinary content your customers will love. You’ve never created content before but you need it for your business. Where to start? How do you create content that gets your customers buzzing? Read and research the type of content competitors are creating on their social media pages and websites – what’s popular with the target audience? A post that generates negative comments is as useful as one that oozes positivity. Think of your own brand and business – what do you want to be known as? What’s your brand personality? Tackle some common issues faced by customers using humor for example. If you create a blog post on ‘10 funny things customer service professionals have said to customers,’ follow that thought to your social media pages, spinning it in different ways using a slideshare or infographic. Sometimes business owners know what makes their business special, other times you need a fresh pair of eyes like those of a copywriter to bring out those qualities. 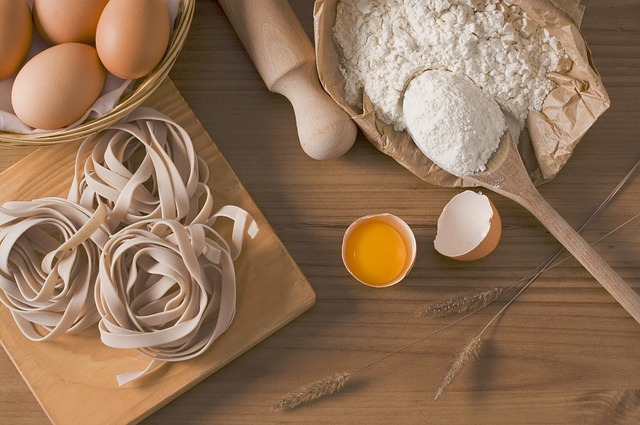 Brainstorm the ‘ingredients’ you think makes your business special and see if they can help you differentiate yourself in your field (be honest!). For example, your business may have some great talent like a social media expert who gets interviewed in the media or guest blogs; profile them to help your business stand out. Writing content without a brief is like trying to replicate a recipe blind – save yourself the stress. In the brief ask why you are creating the content? What’s special about what you’re offering? Without a brief you may create content that no one likes or responds to. As a small business owner, you want people to react to your blog posts, social media posts or tweets not have them disappear into a corner of the cyberworld. Follow a process, create great content consistently and in a timely manner so that you reach as many people as possible. If you have a writer in-house, ask them to create an editorial calendar and include topics for the next six months, schedule tweets and Facebook posts to keep the momentum going. Rarely does a Masterchef contestant do well by ignoring George and Gary’s feedback. Listen to what your customer is saying, tweak content and present in a way they want to consume it. For example where are your customers? On Facebook or Instagram? Do they like short posts or longer, more informative blog posts? Do you like eating bland food? I don’t. I like my food balanced between sweet and sour, a kick of chilli and some crunch. What’s the point of writing bland content that no one reads? Inject your own voice and business personality into it, don’t be afraid to experiment with different voices. Be open, raw and honest (so your customer can’t help but connect with you). Masterchef uses this ‘humanness’ to keep their viewers hooked. Well presented content is easy to read, doesn’t overwhelm the reader and doesn’t try to pretend to be something it’s not. All winning recipes on the Masterchef shows are beautifully presented – can you hear Matt saying presentation, presentation, presentation? Your content should have customers eager to dip into the next serving. Next time you want to create content for your business, think of the way a Masterchef would approach creating a delicious, memorable and award-winning dish. Answer the question: What makes you and your business extraordinary? What did you think of this post? If you liked it please share with your fellow Masterchef watchers who might also be copywriters or business owners.